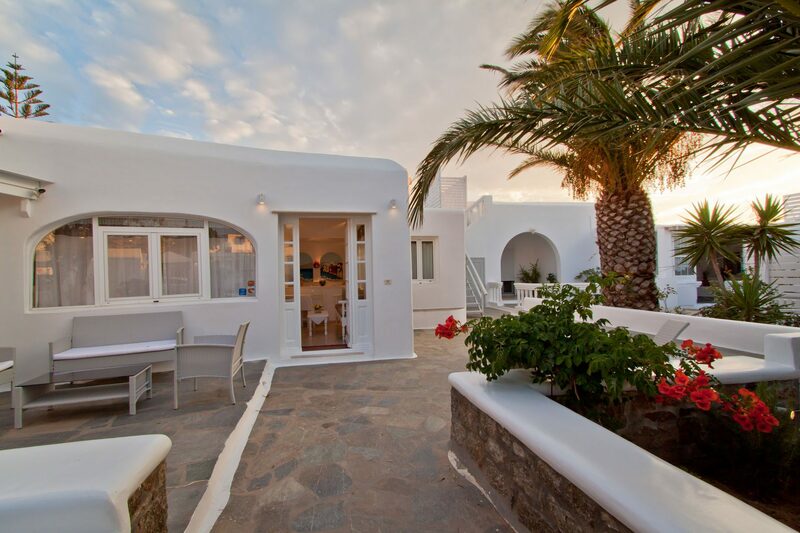 and Paradise are 2 km away. 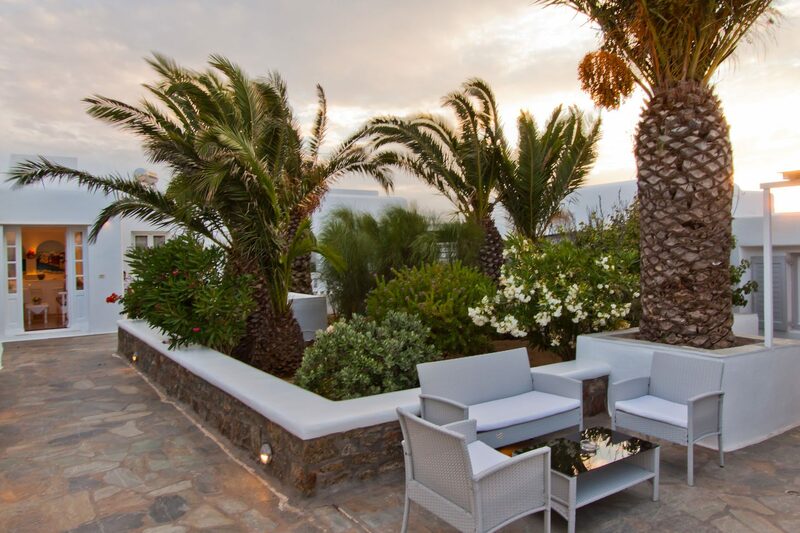 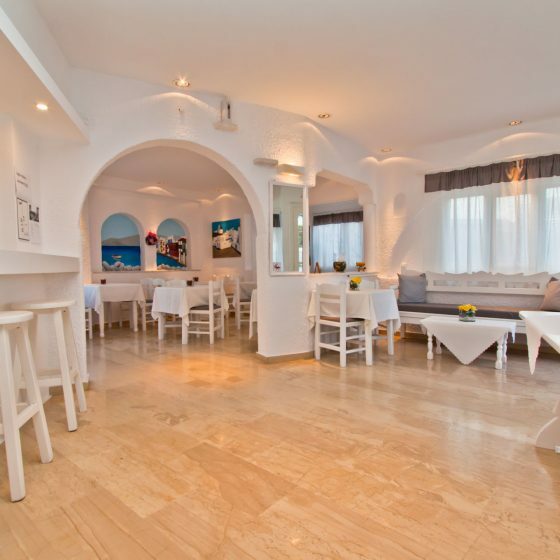 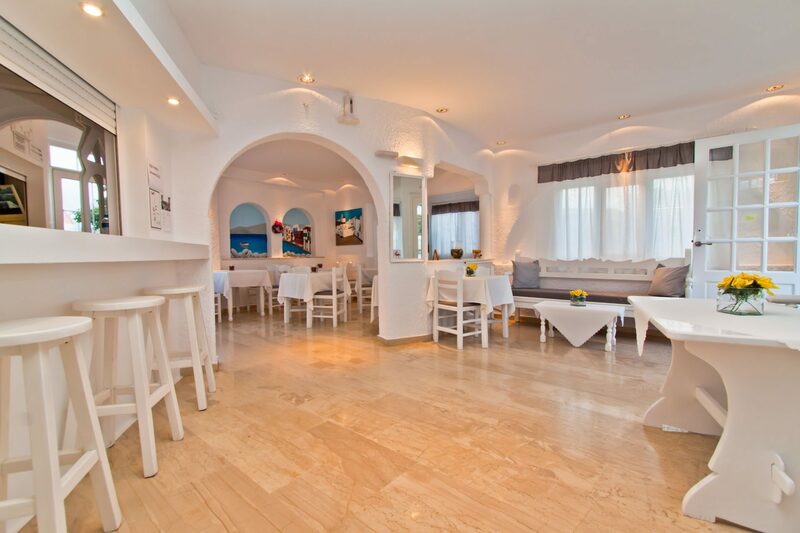 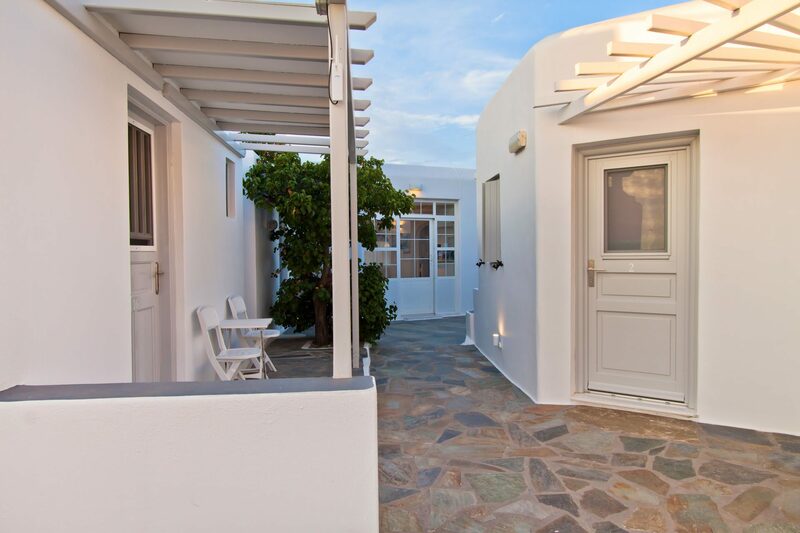 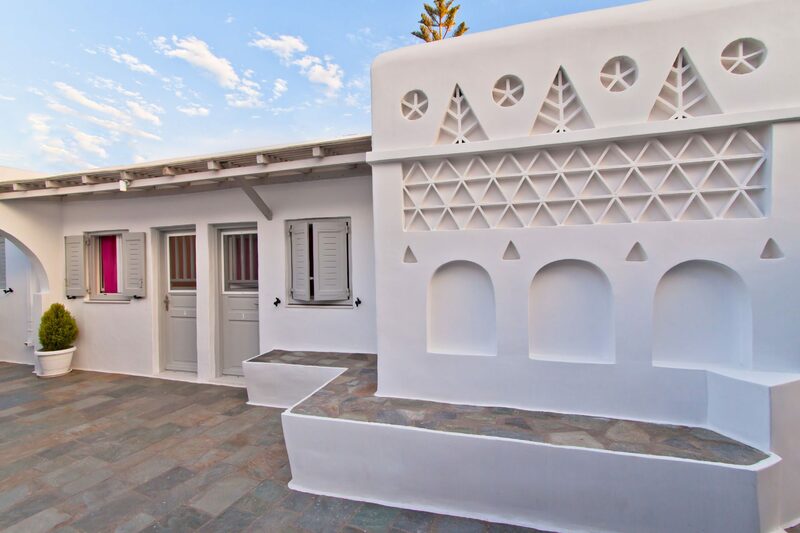 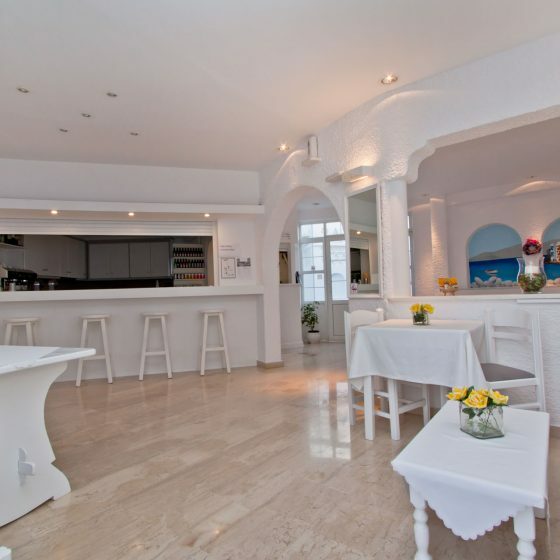 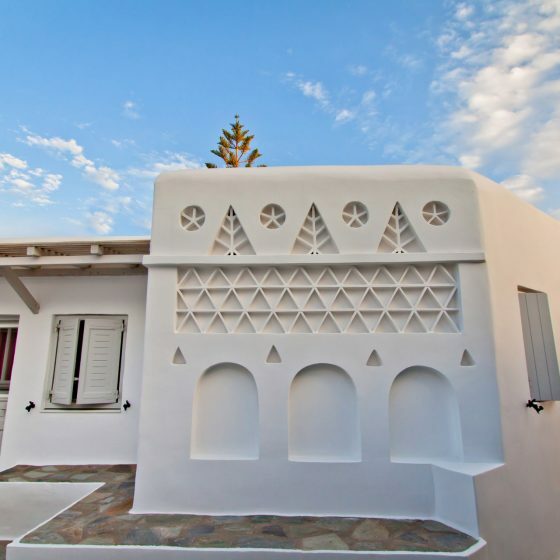 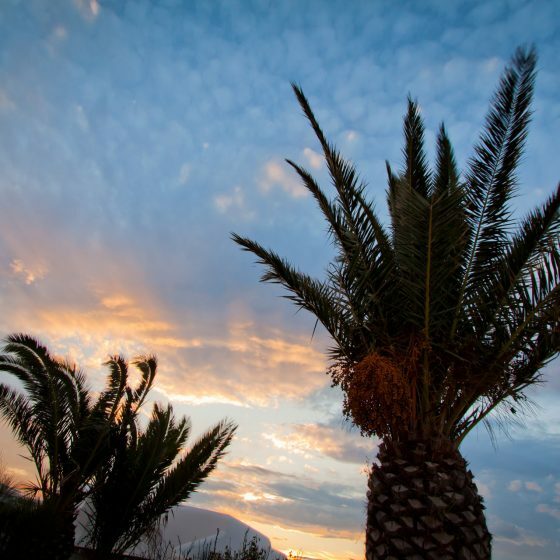 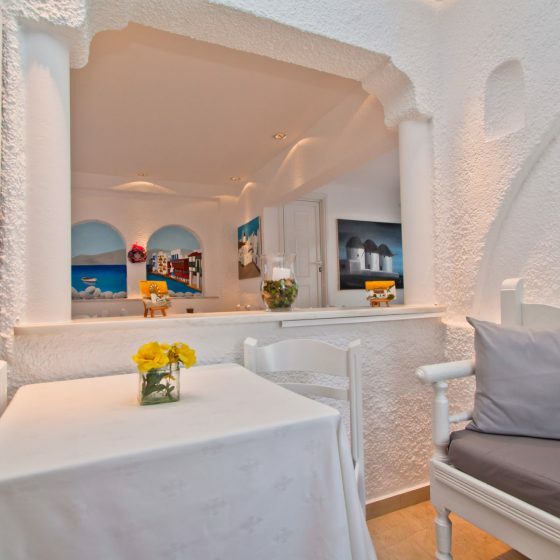 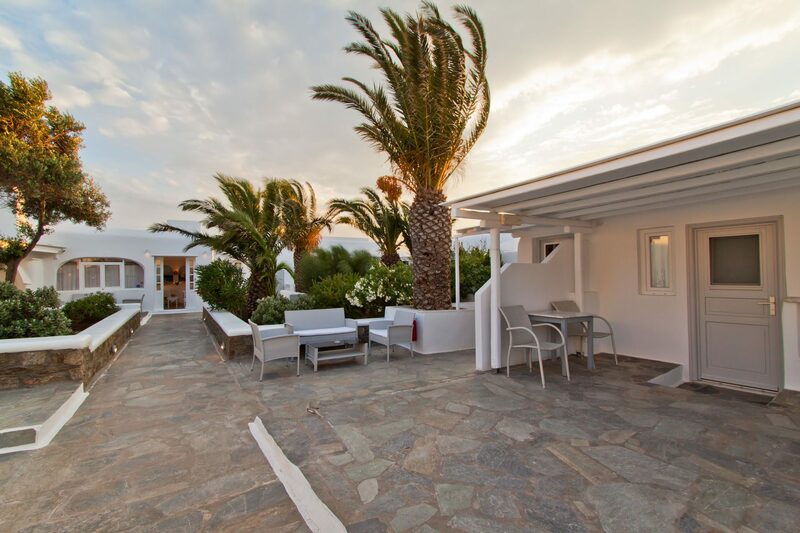 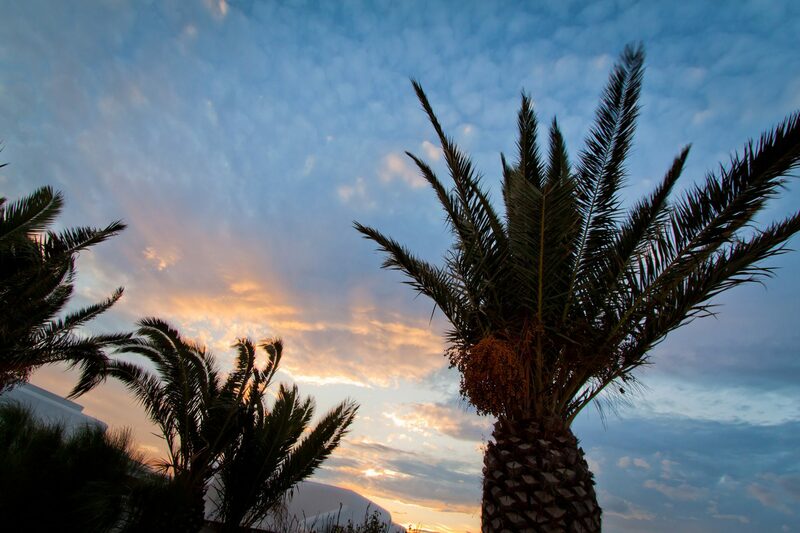 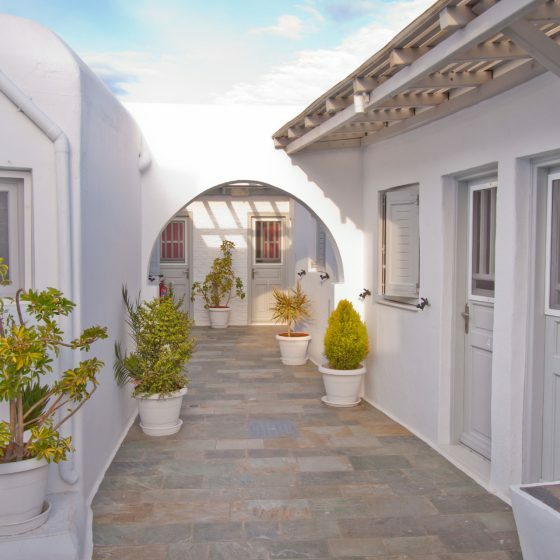 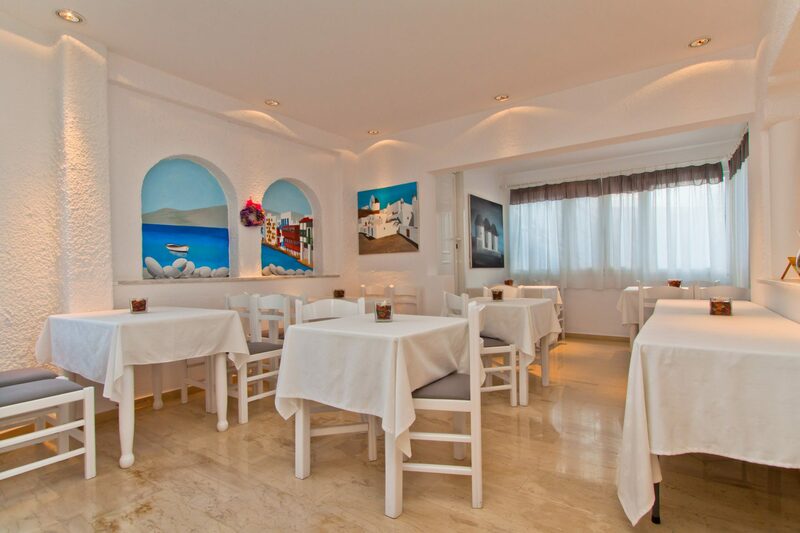 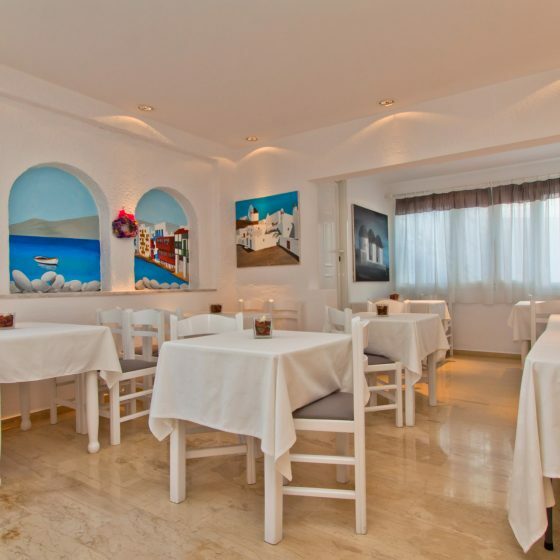 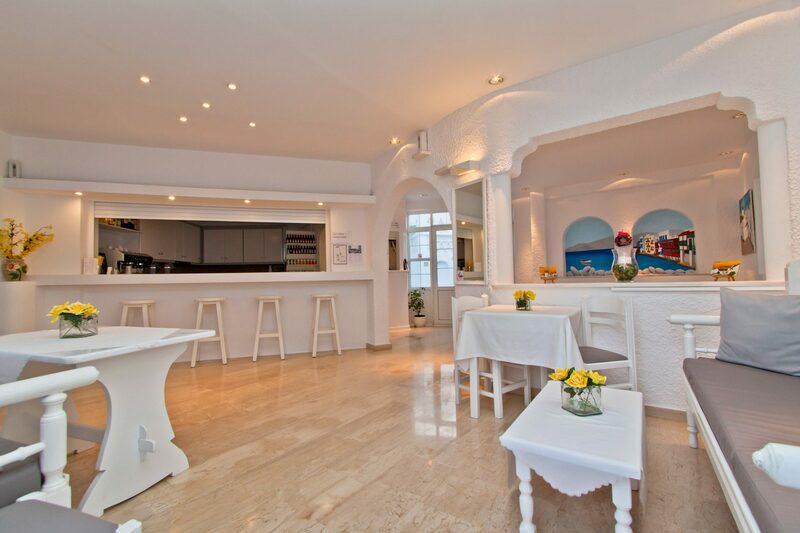 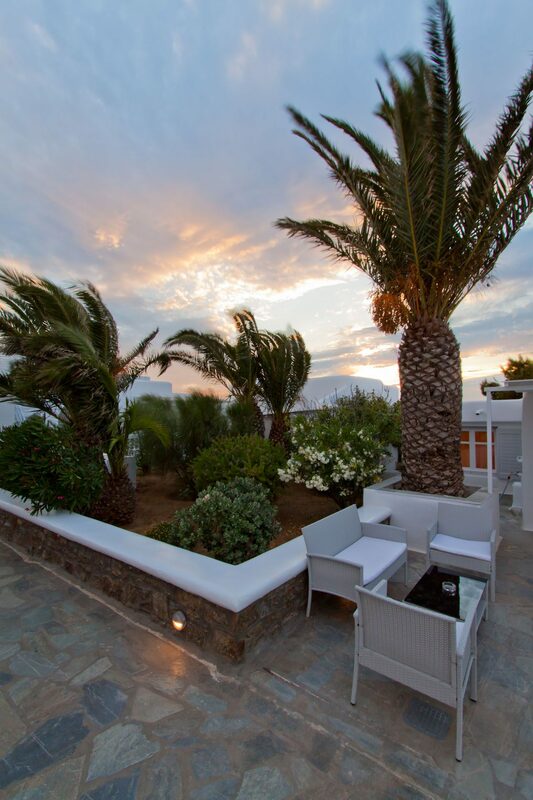 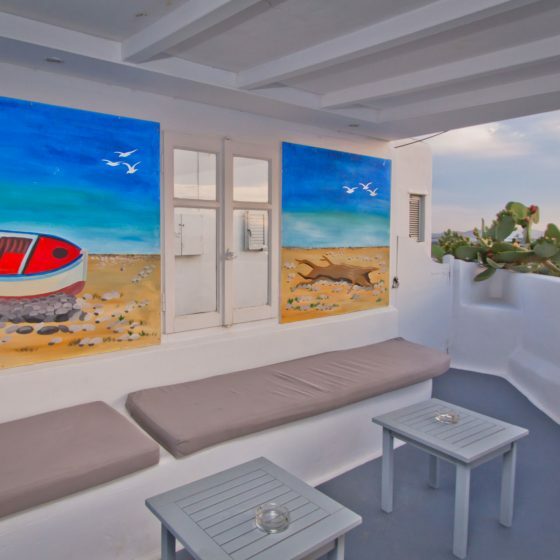 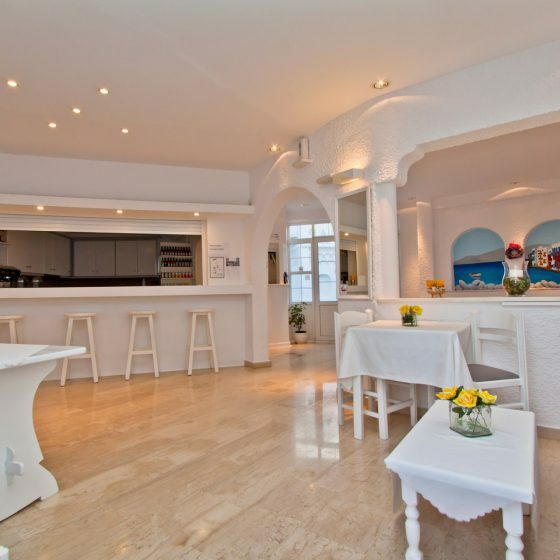 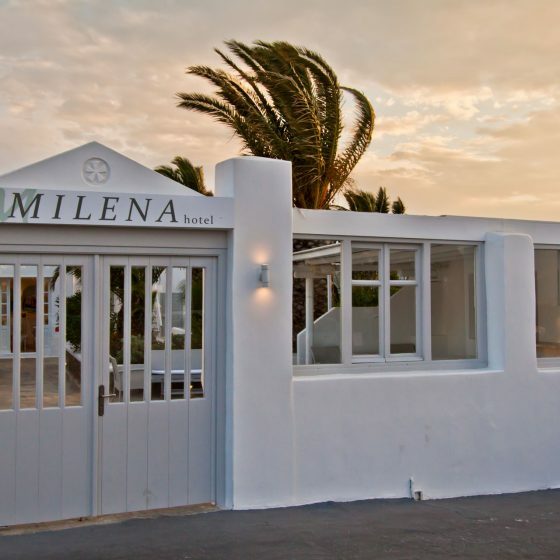 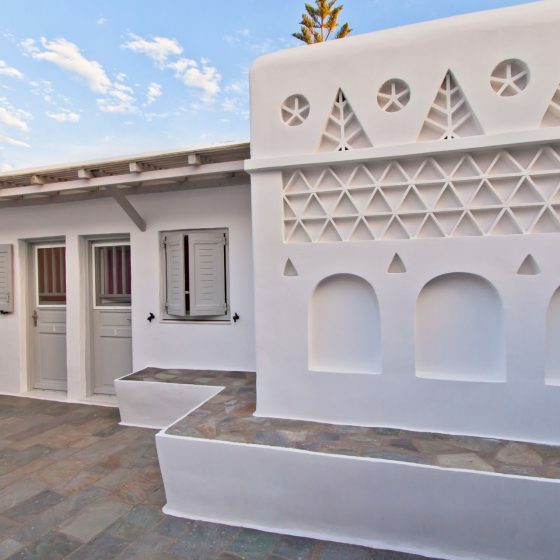 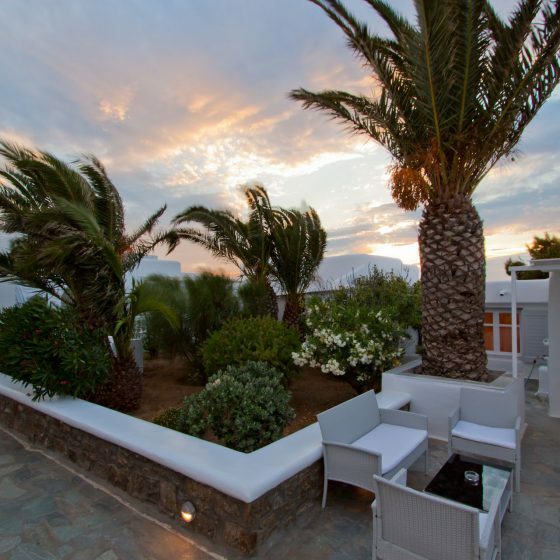 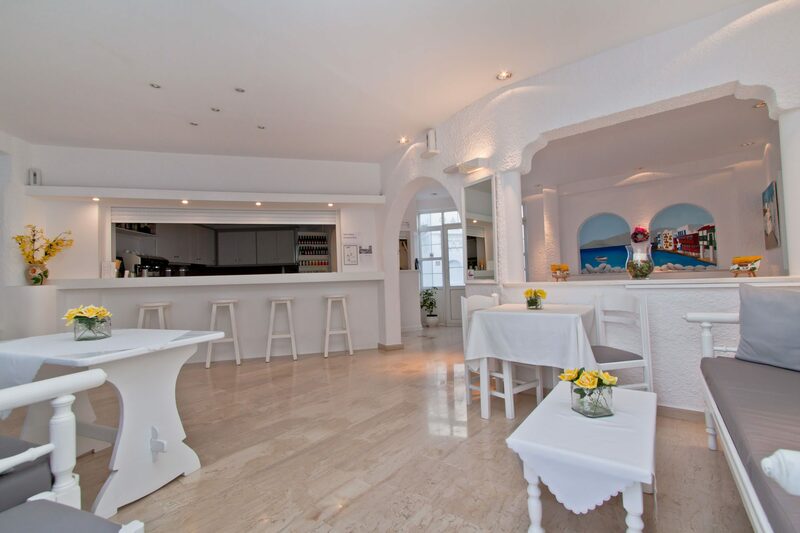 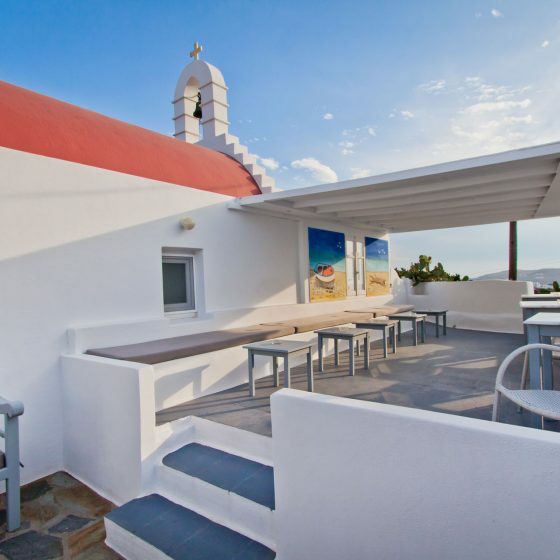 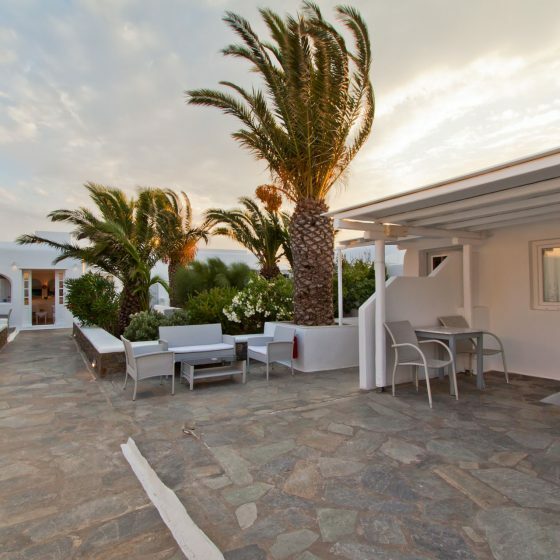 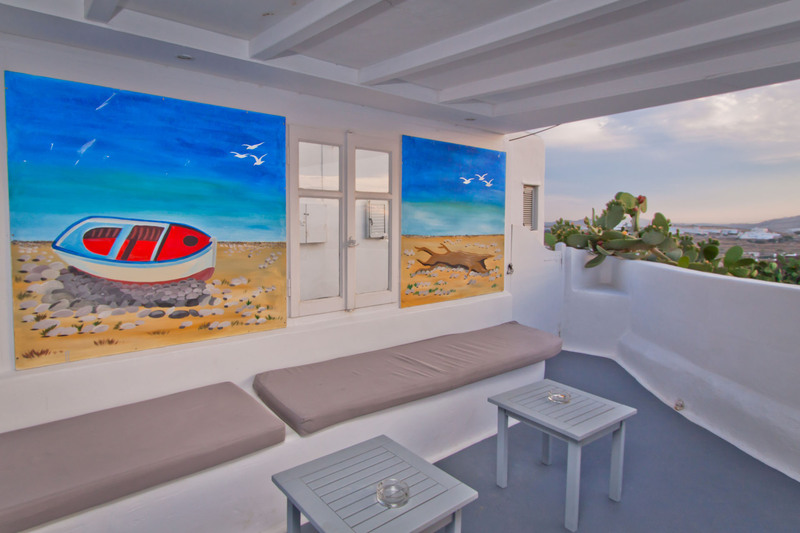 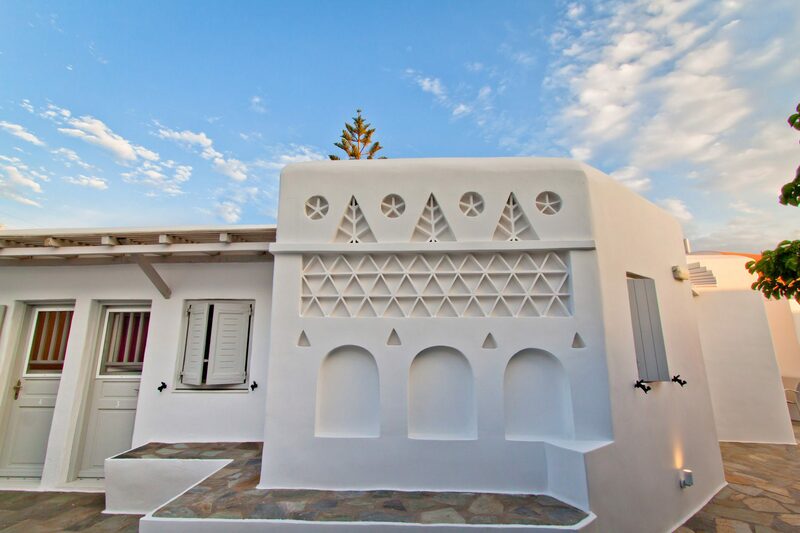 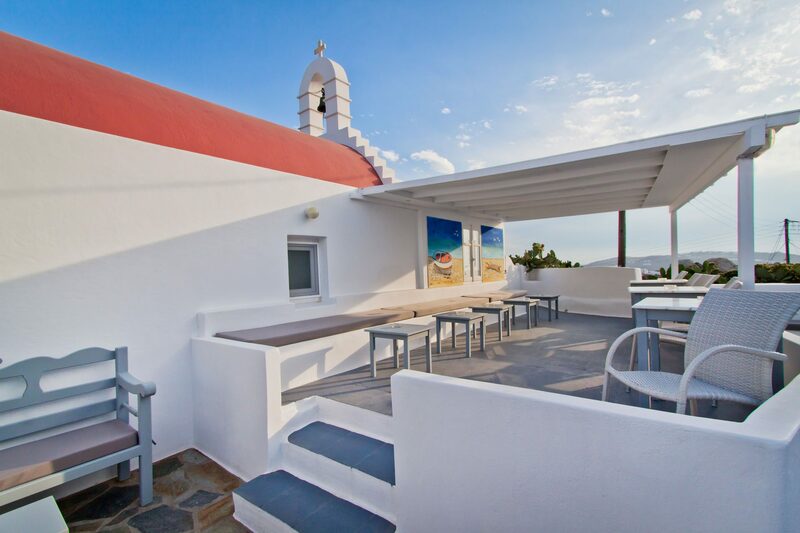 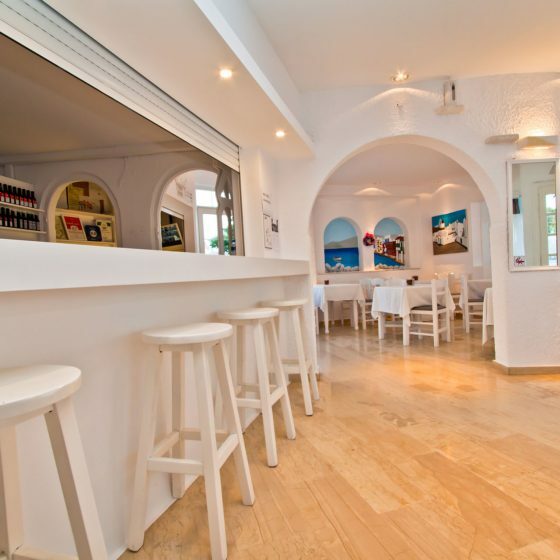 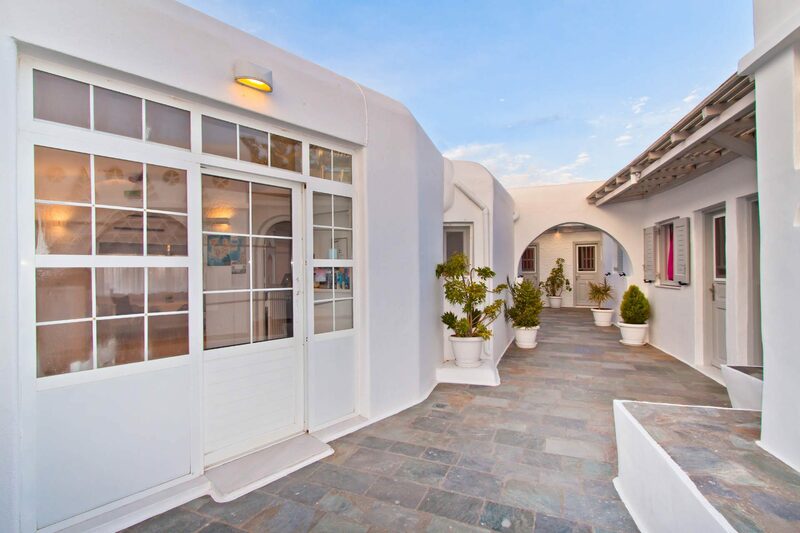 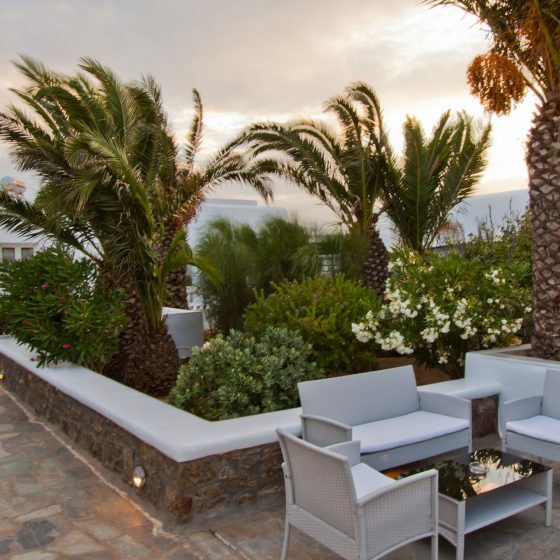 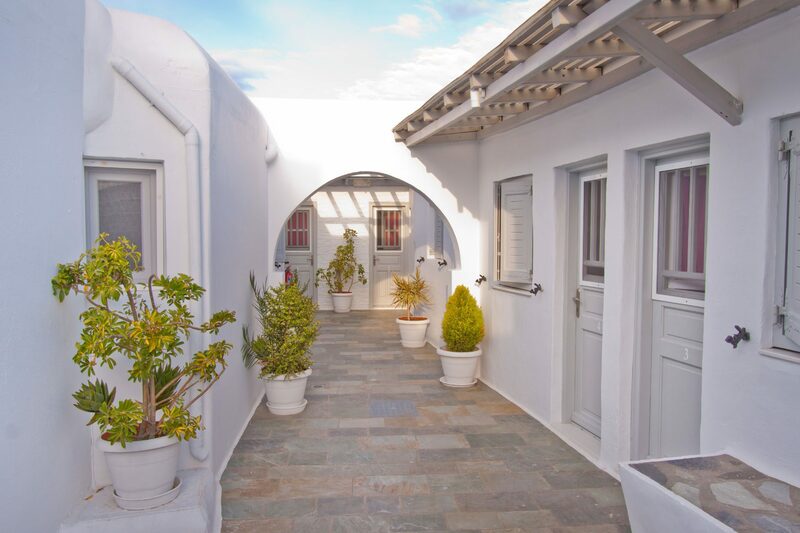 The family-run Milena Hotel provide you comfort staying in a family environment with friendly atmosphere .Is situated in Drafaki,area only 1 km from Mykonos town and 400 metres from the airport. 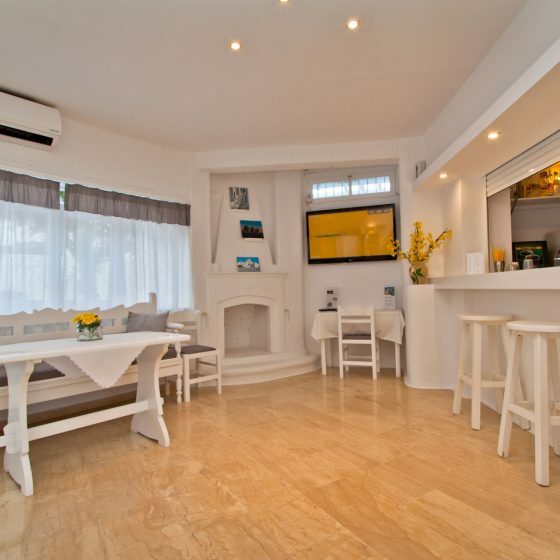 The famous beaches Paraga and Paradise are 2 km away.Milena offers rooms with air conditioning,TV,fridge,hairdryer,bathroom and Free wireless internet throughout the hotel. 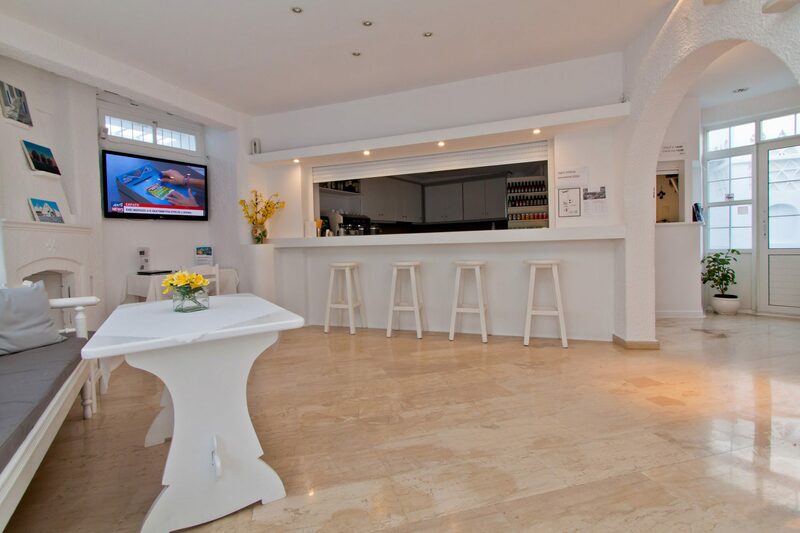 Guests can relax at the café – bar while enjoying the beautiful view of the surrounding garden. 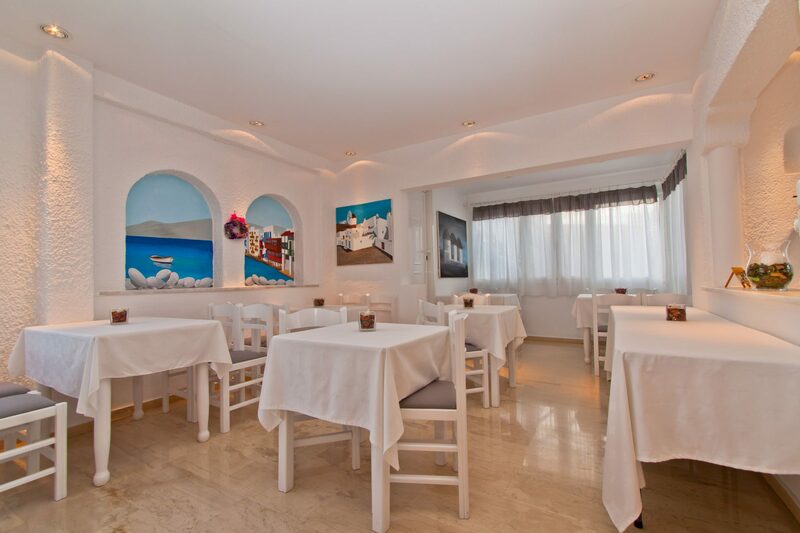 A mini market, a bakery a restaurant and bank are located within walking distance. 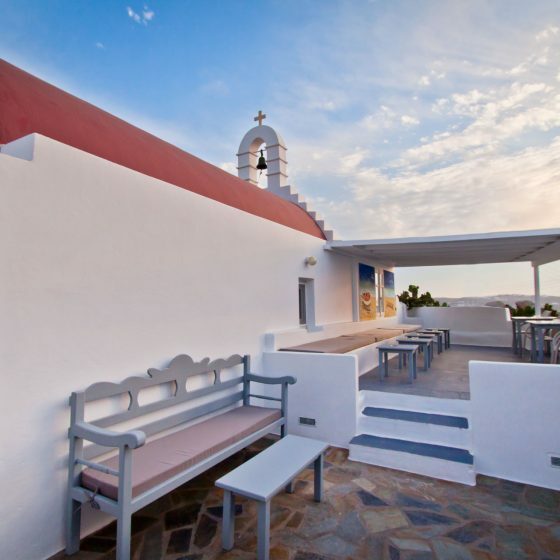 The bus stop is situated exactly out from the hotel. 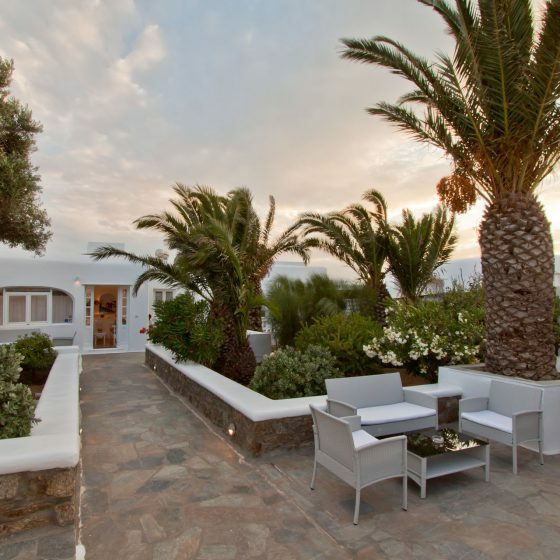 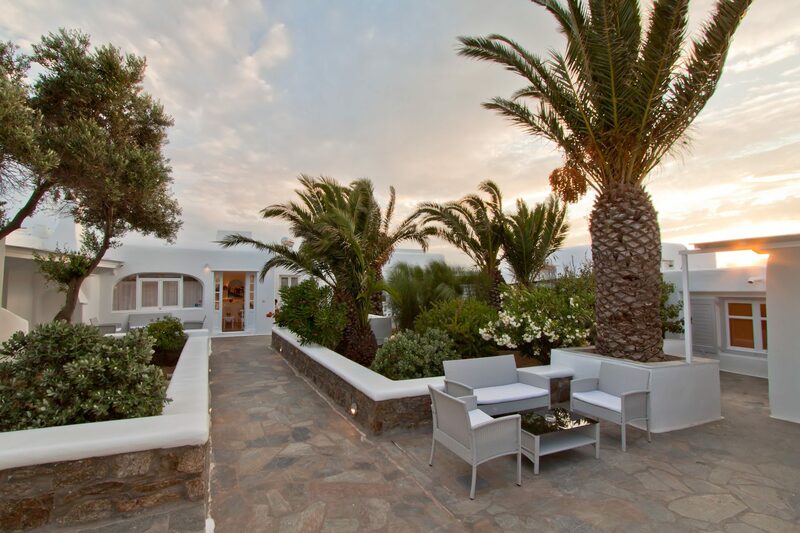 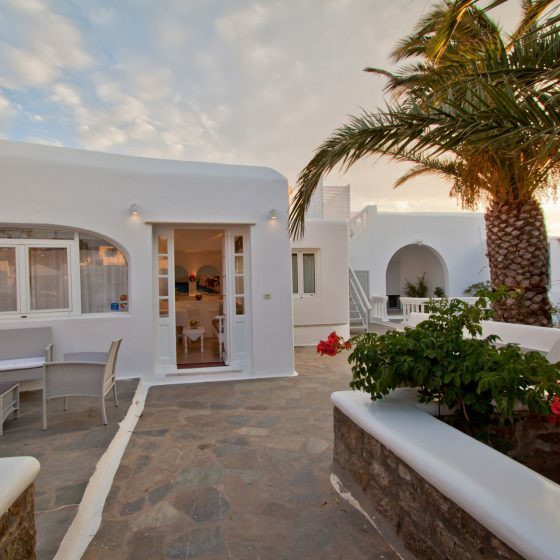 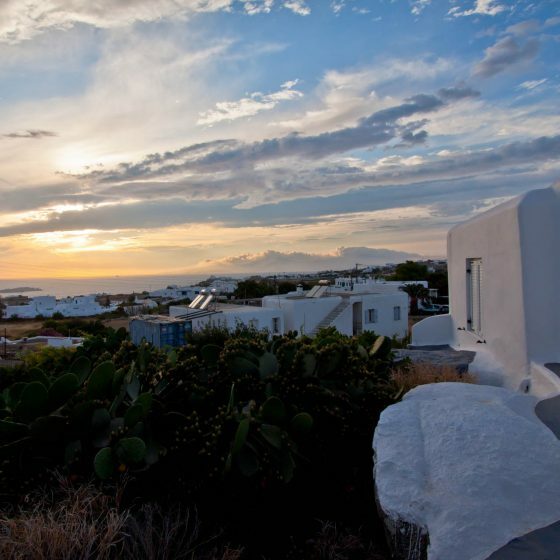 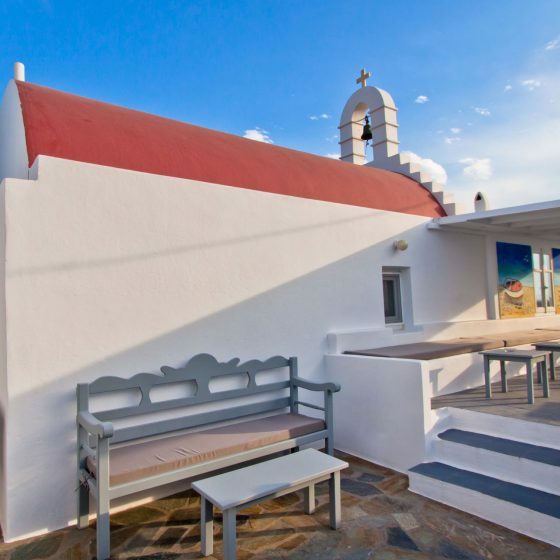 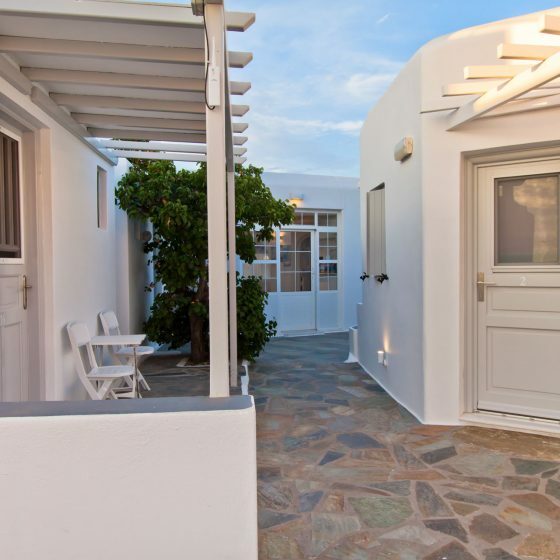 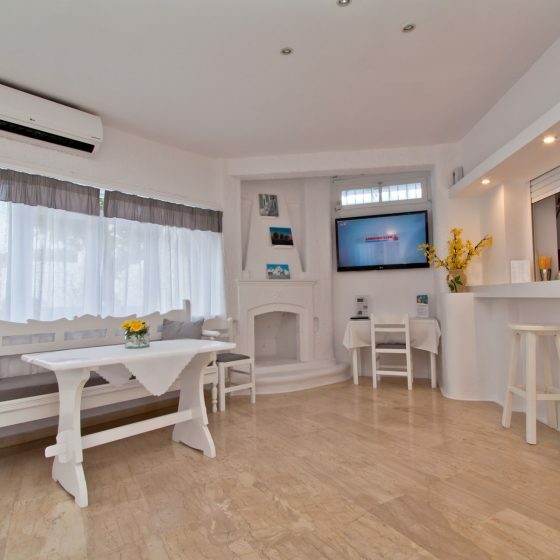 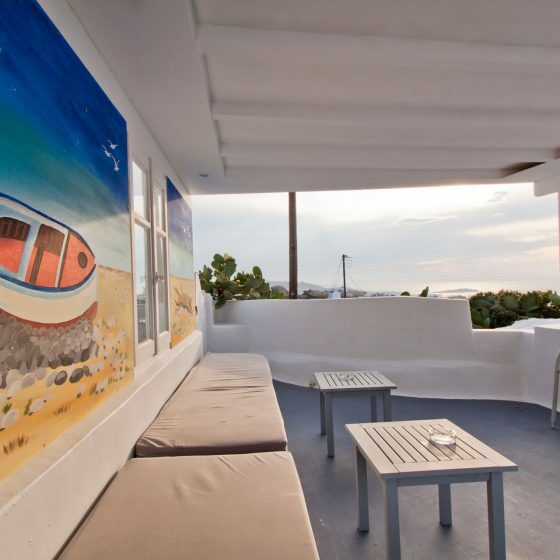 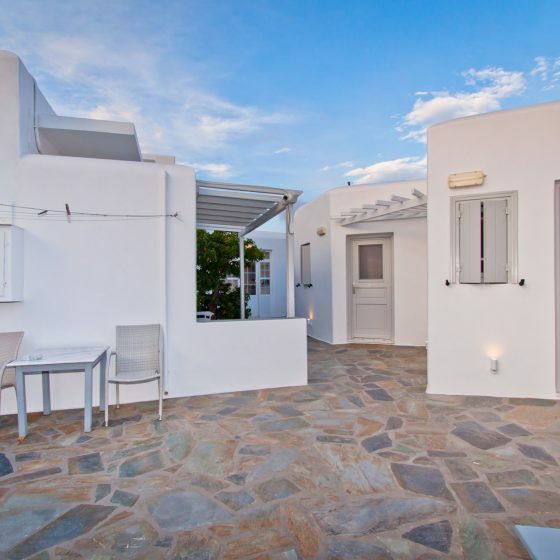 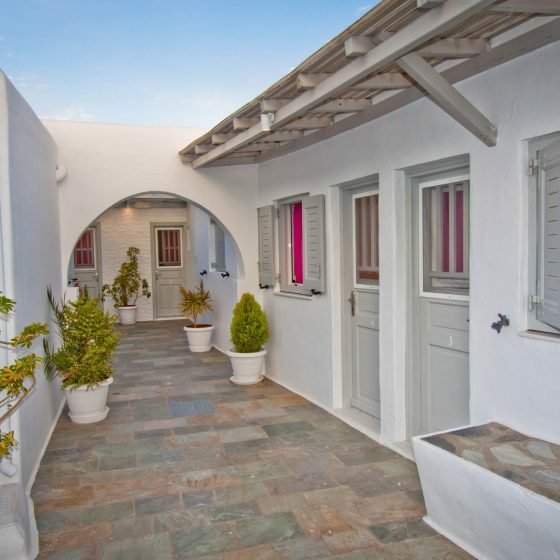 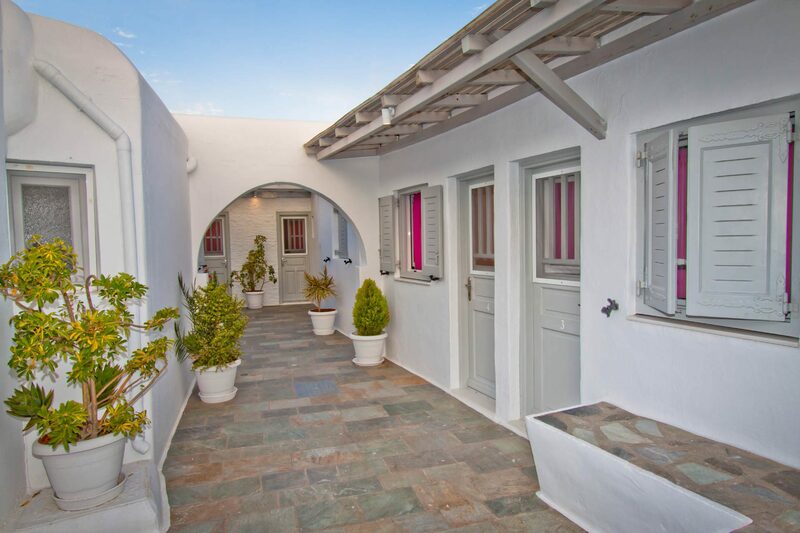 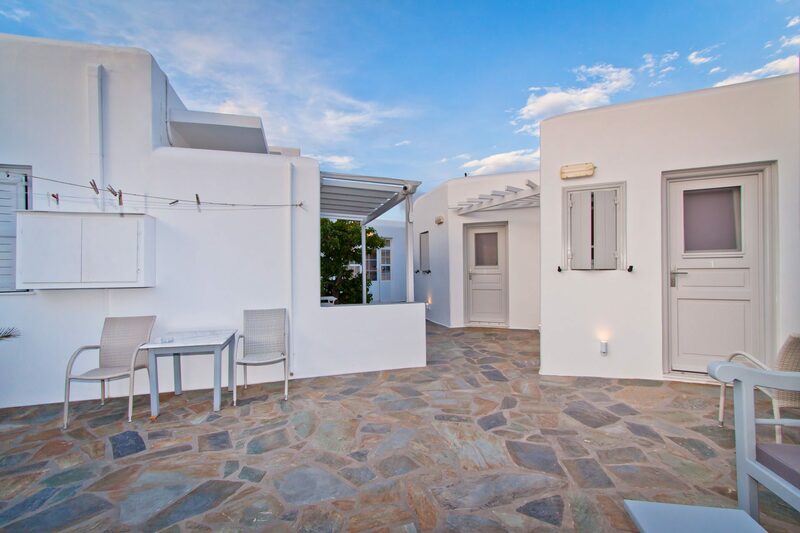 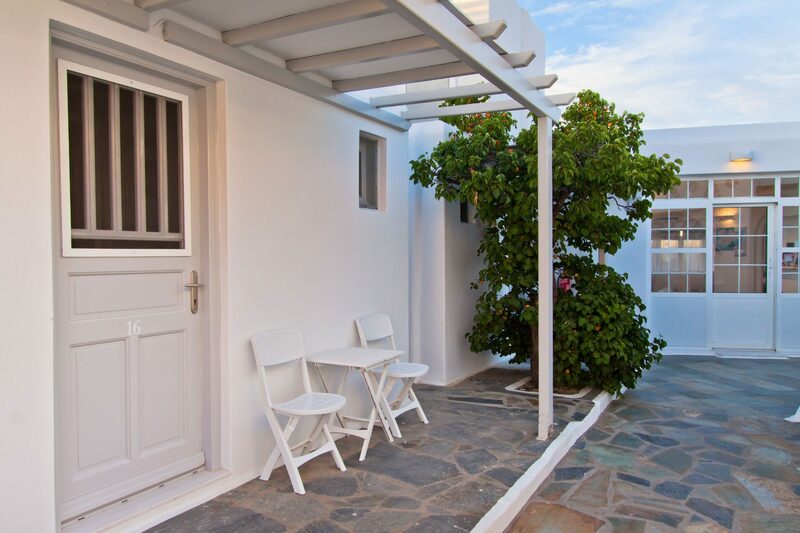 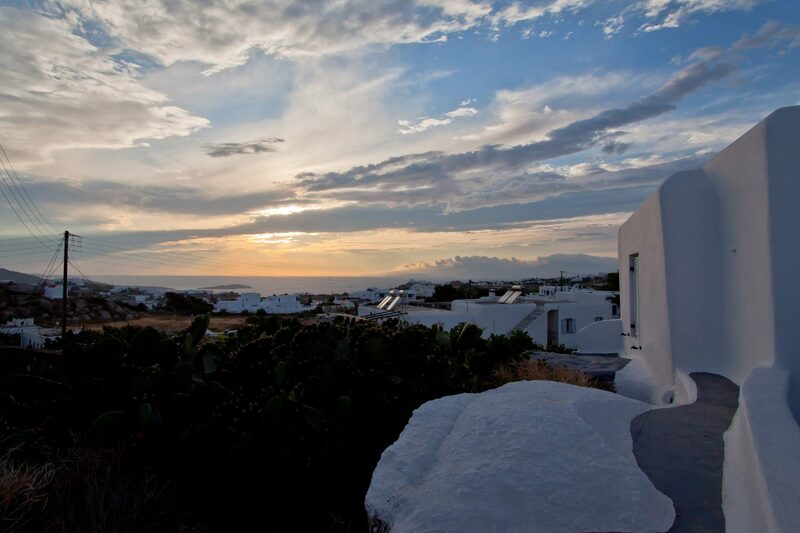 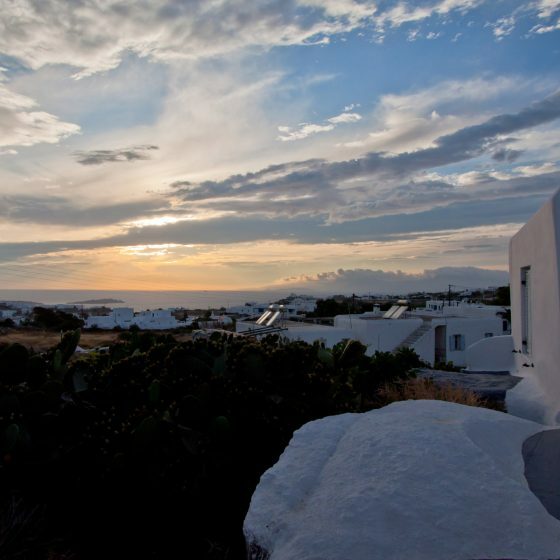 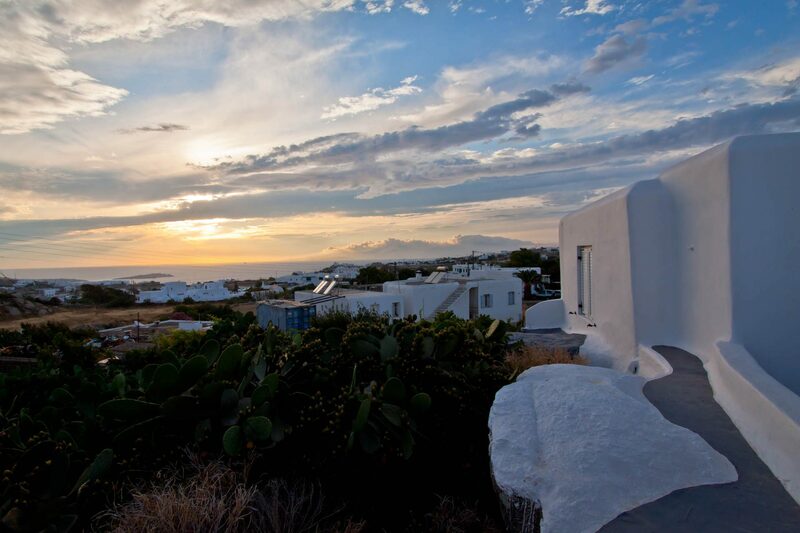 It allows easy access to Mykonos town, as well as the beaches of Paradise and Paraga. 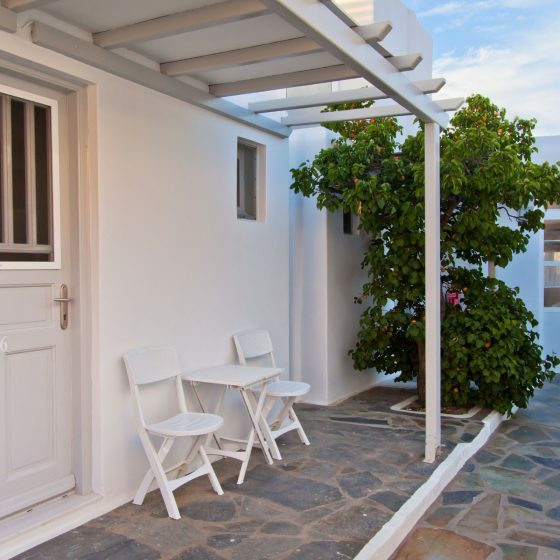 Guests enjoy free transfer to and from the port/airport upon request. 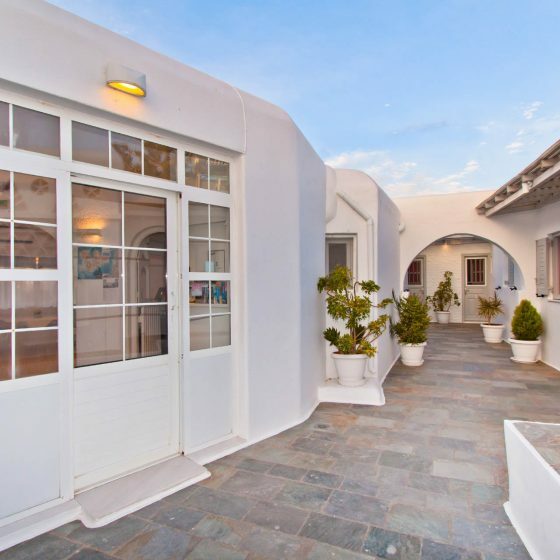 Overview of all accommodation units of the hotel. 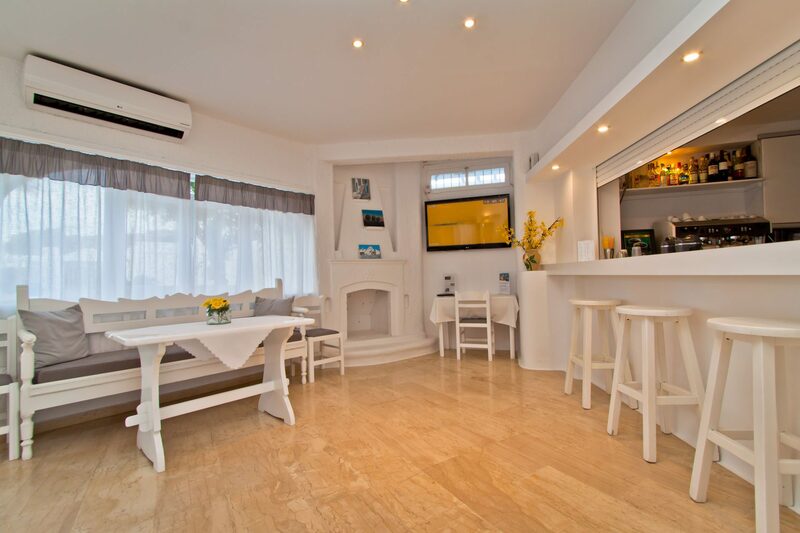 Detailed presentation of the rooms and room facilities and services. 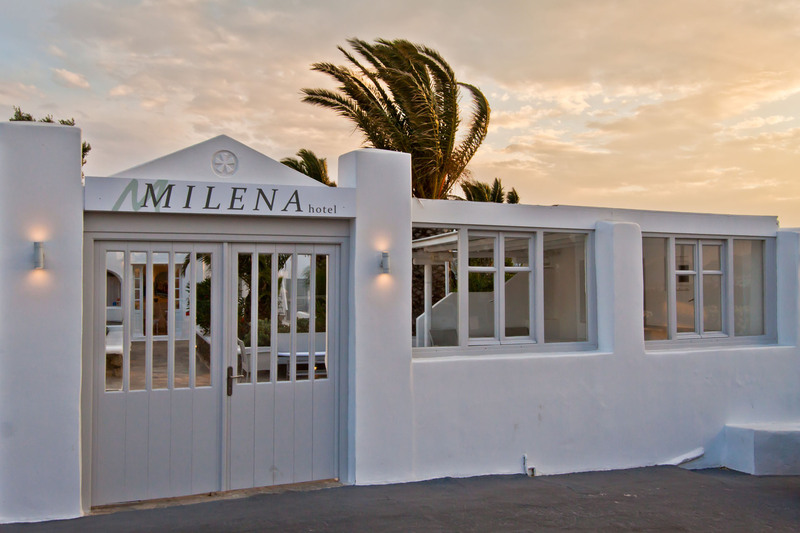 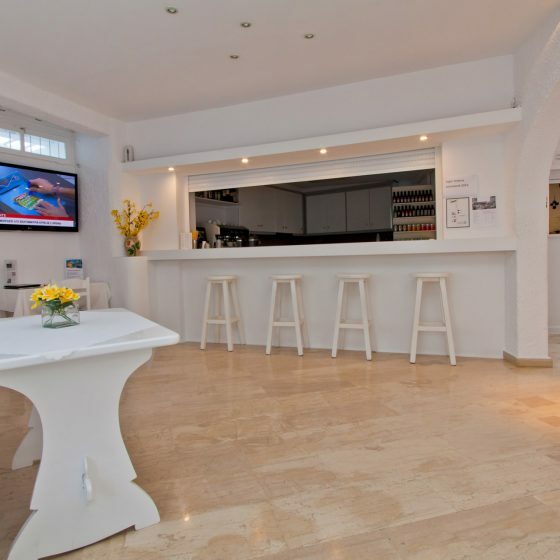 The guests of Milena Hotel will enjoy many facilities and services, which will make their stay here unforgettable. 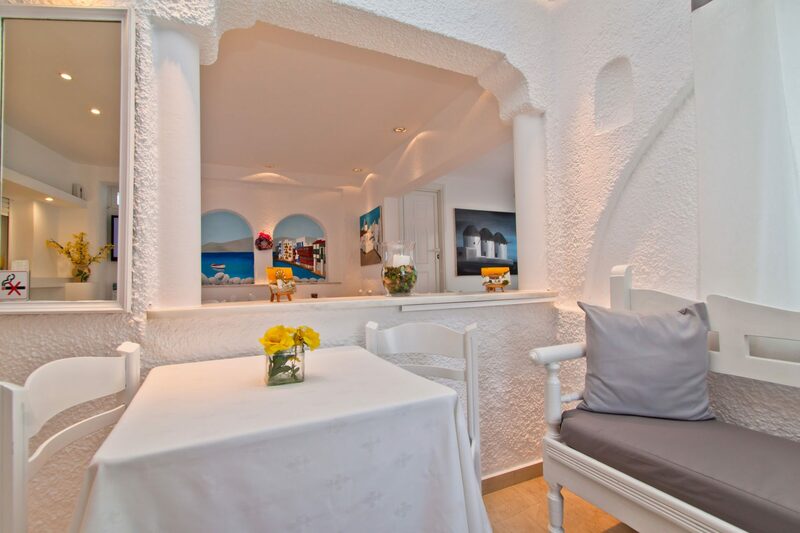 The rooms of Milena Hotel are simple, functional and offer all modern comforts. 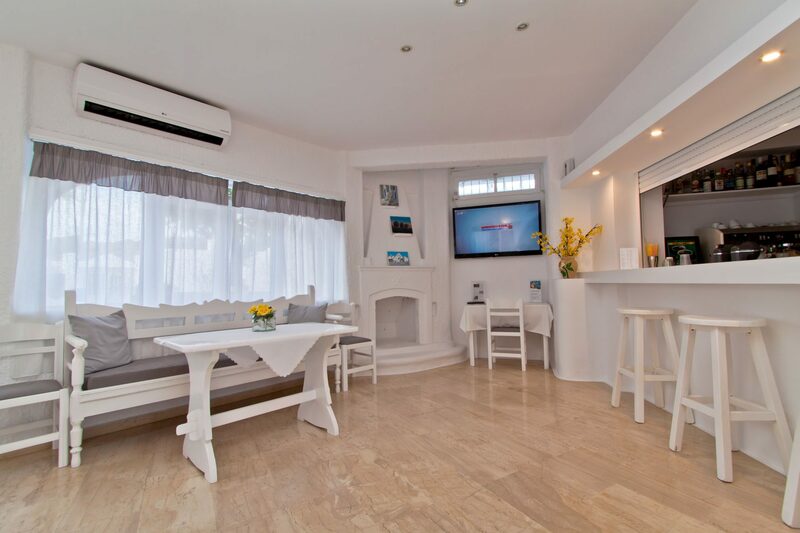 They are all equipped with A/C, TV,safety box,refrigerator,bathroom with shower, and free wireless internet access. 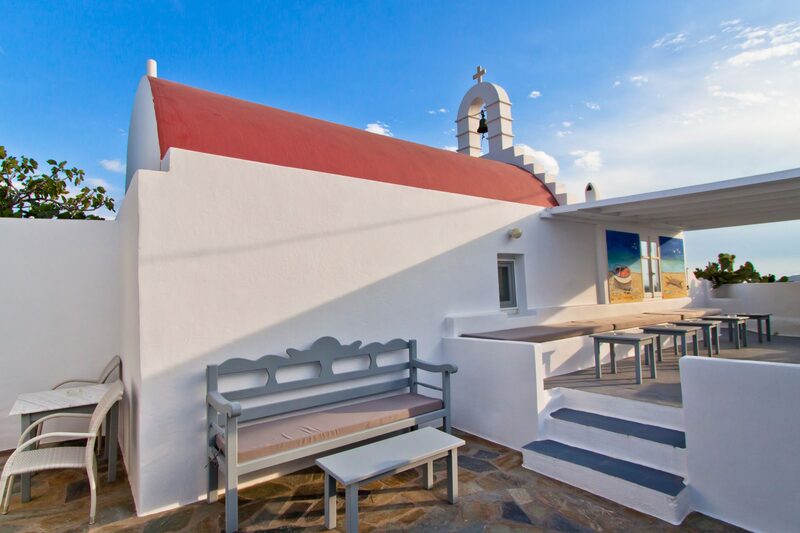 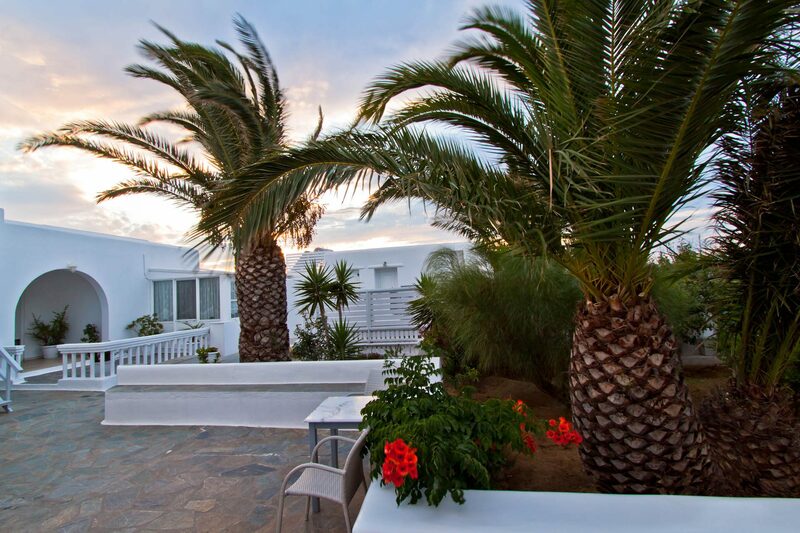 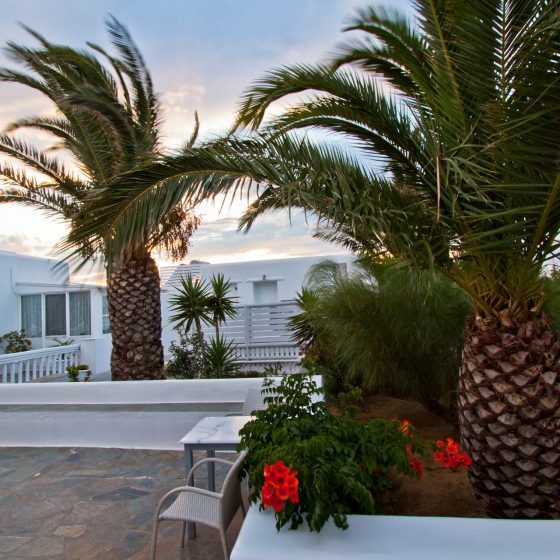 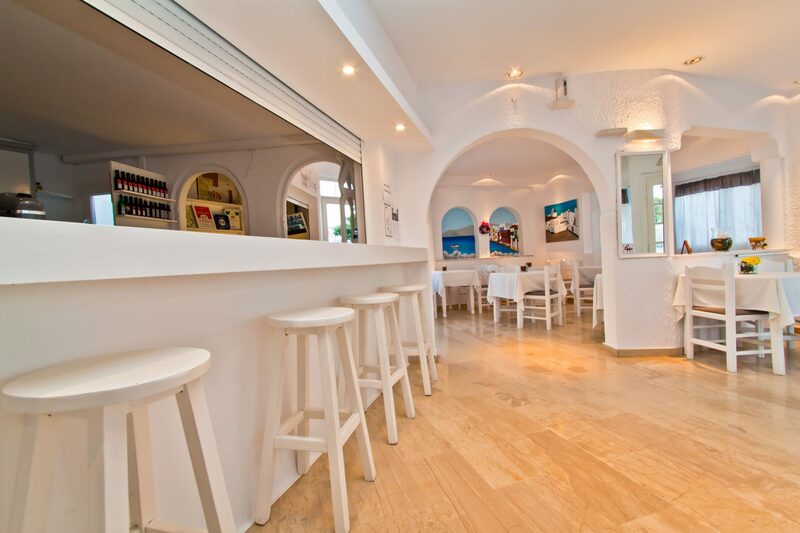 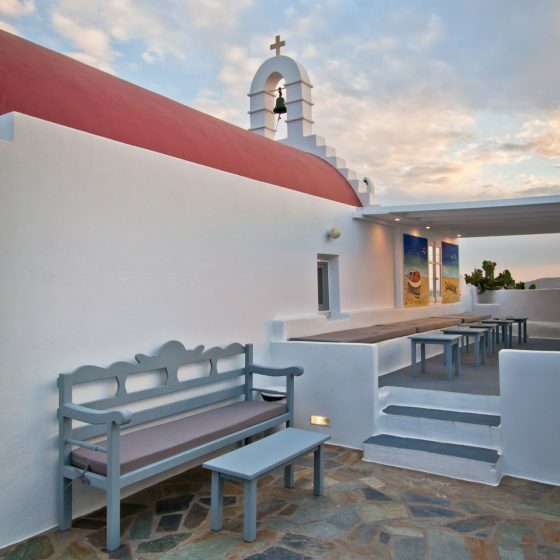 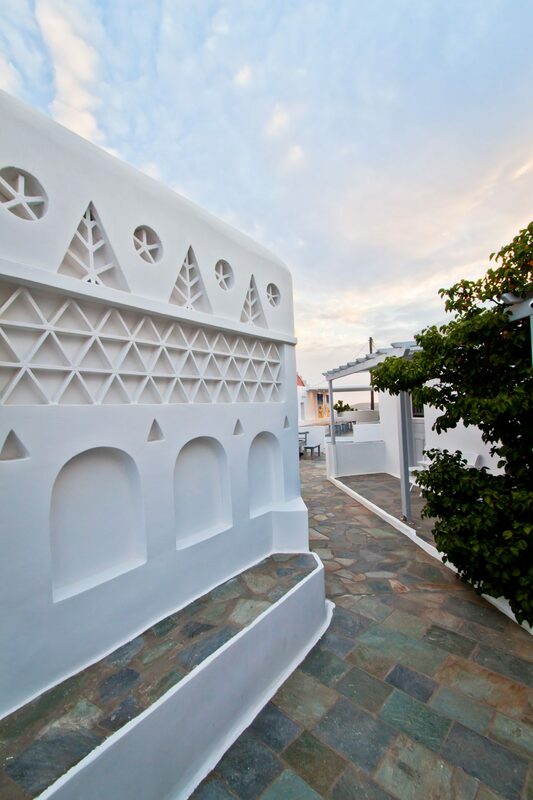 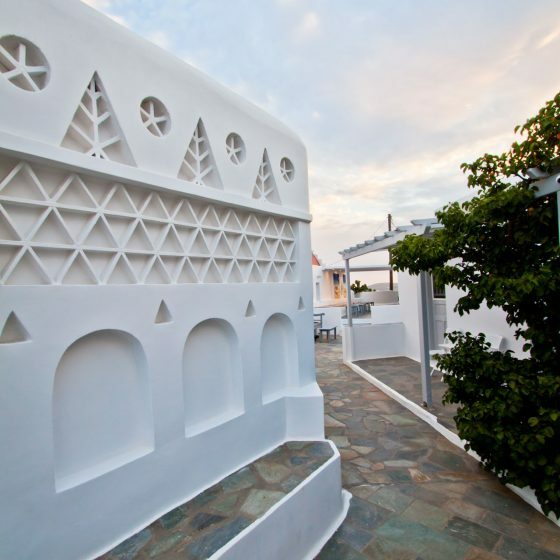 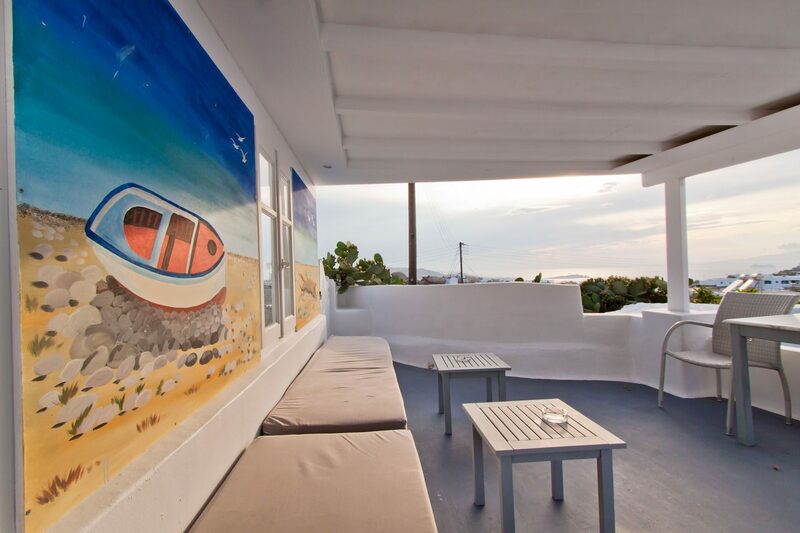 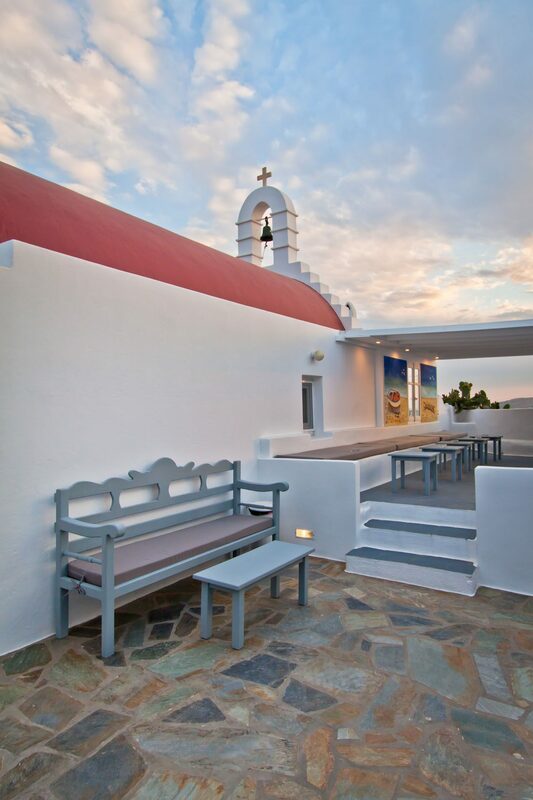 Hotel Milena is located just 1 km from Mykonos Chora and very close to the most popular beaches of the island. 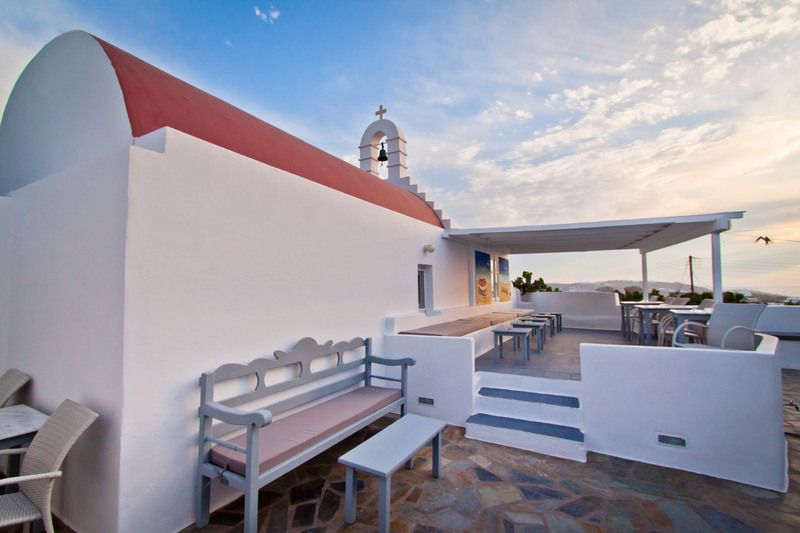 There is easy access to Chora with frequent bus schedules which stop just outside the hotel.